Veederline is dedicated to providing Customer Service & Support that exceeds expectations. Find answers to your most pressing Customer Care needs within our convenient FAQ area. If you can’t find the answer to your question here, Call us Toll Free at 1300 553 500 to speak to one of our friendly & knowledgeable Customer Care Representatives directly. We look forward to service you! Frequently Asked Questions (FAQ’s) Index. How do I update/change my billing address information within Veederline’s account records? How can I be removed from or added to Veederline’s mailing list? How can I order Veederline’s Product literature? What is Veederline’s cancellation policy for standard or customized encoder or resolver products? How do I go about canceling an order? Does a restocking fee apply for my Sensit cancelled order? How can I find out the name of a Veederline’s, Distributor’s in my area? Does Veederline have representation Internationally? How can I become a Veederline distributor partner? What is Veederline’s return policy? What do I do if I receive a shipment from Veederline’s, and something is incorrect? What do I do if I receive a shipment from Veederline, and something is damaged? How do I go about obtaining a Veederline, Return Materials Authorization (RMA) for the product ordered and received? What is Veederline’s delivery policy for standard or customized products? Does a minimum order charge apply to Veederline’s products? Does Veederline’s charge a premium for rush orders? Can I buy products directly from Veederline? Does Veederline offer a direct payment plan option for customers? How do I go about checking my credit status with Veederline? How can I receive a copy of my Veederline invoice? How can I order Veederline Controls literature? Who do I call for Veederline product pre-sales assistance? Who do I contact for Veederline product application assistance? How can I receive a price quote on a Veederline – Product or Part’s? What related divisions and products fall under Veederline, Industrial Controls Group? How can I be sure that I am contacting the right division? Does Veederline offer a recycling program? Does Veederline accept Trade-ins for old products? What is Veederline’s warranty policy? Q1: How do I update or change my billing address information within Veederline’s account records? A1: Simply contact us. Customers can also update our mailing register by visiting the Veederline – Inquiry page and registering their new address information with our Marketing Dept to ensure that they receive all pertinent new product launch, Web cast and newsletter information that relates to their purchase. Q2: How can I be removed from or added to the Veederline’s Automation & Feedback Controls mailing list? 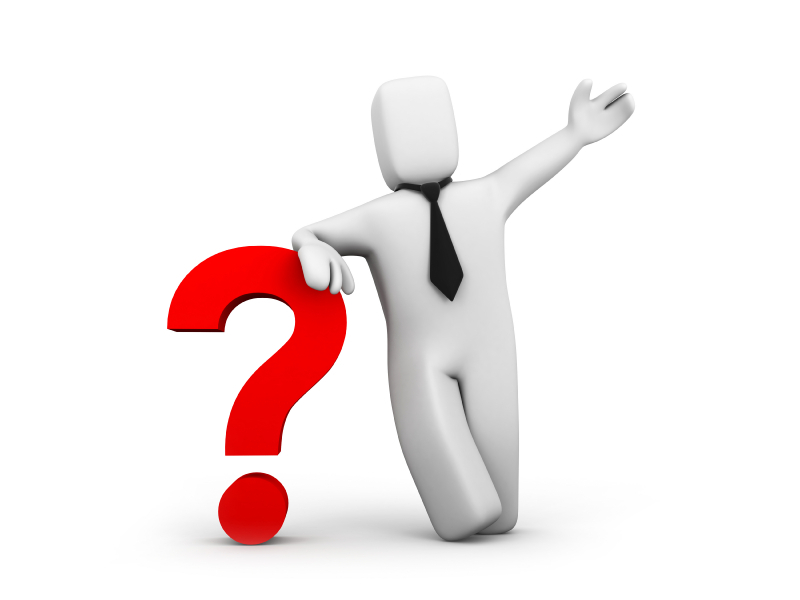 Q3: How can I order Veederline’s Factory Automation & Feedback Controls product literature? Q1: What is Veederline’s cancellation policy for standard or customized encoder or resolver products? A1: A restocking charge of 20% is typically applied to canceled or returned Veederline. Product (as most product is made to order) if goods are normal stock line a 15% restocking charge will apply, with the exception of customized and rush order products which are built to order and non-returnable. Consult Veederline for more information on our cancellation and return policy. Q2: How do I go about canceling an order? A2: Consult your Veederline’s Customer Care Representative for cancellation inquiries or email us directly to Cancel order. NOTE: Built to order custom products and RUSH order products are not returnable. Q3: Does a restocking fee apply for my canceled order? A3: A restocking charge of 20% is typically applied to canceled or returned Veederline product with the exception of customized or rush order products which are non-returnable. Consult your Veederline Customer Care Representative for more information on our restocking policy. Q1: How can I find out the name of a Veederline Distributor in my area? A1: Refer to our helpful Veederline Distributor Location guide for quick access to the Veederline’s distributors in your region. Note: Due to the technical nature of Keyence & Harowe brand, please consult our Customer Care Group for sales support & assistance. Q2: Does Veederline Australia have Global representation? A2: NO. Refer directly to Veederline Sales, as of this date we have supplied directly to over 40 countries in the world, and we will work with you to provide a competitive price and ship anywhere in the world, from Australia (quotations will be in $Aust Dollars, valid for 30 days, with payment via EFT.). Q3: How can I become a Veederline Distributor Partner? A3: Complete our convenient Veederline – Inquiry Form to be considered and to find out how to become a member of our Partner/Distributor team. Q1: What is Veederline’s return policy on products purchased direct from Veederline? A1: A restocking charge of 20% is typically applied to canceled or returned Veederline goods with the exception of customized and rush order products which are built to order and non-returnable. Consult your Customer Care Representative for more information on our cancellation and return policy. Q2: What do I do if I receive a shipment from Veederline and something is incorrect? A2: Check the packing slip against the items received to ensure that all items have arrived that were shipped. If you received an incorrect item, and the item is listed in the packing slip, contact your Customer Care Representative. Q3: What do I do if I receive a shipment from Veederline product is damaged? A3: A Veederline Customer Care Representative will assist you in obtaining a replacement for any damaged items received. Notify your Veederline Customer Care Representative of any damaged shipment you receive by completing and emailing the Handling & Delivery Online Form. When filling out the form, please specify in the field labeled “to better address your request, please provide a brief explanation” if the package was damaged. Also be sure to include a description of the location and amount of damage on the package. Q4: How do I go about obtaining a Return Materials Authorization (RMA) for my Veederline product? A4: Simply contact Veederline by email or Phone for prompt RMA assistance – usually within one business day. Please be as specific about your problem as possible and include Product, Brand, Model #, Serial # and Purchase Order # as well as any pertinent Application details. The more information you give us, the more quickly and more thoroughly we can solve your problem. To inquire about the status of your RMA, call us be sure to have your Model # and Manufacturing Date Code available when you call. Q1: What is Veederline’s delivery policy for standard and customized products? A1: Delivery on most Veederline products if in stock Adelaide is 1-2 business days dependent on time of order and regional center. For non-stock item typical delivery is 2-3 weeks FRO-Based on typical manufacture times and UPS Express Air international delivery. For our “customer-ized” custom product orders, consult your Customer Care Representative for exact lead time information. Once you have the Consignment-Note number you can “Track and Trace” from our Web Site. Note: Individual models have exceptions. Q2: Does a minimum order charge apply to Veederline’s products? A2: A minimum order charge of $Aust 50 (NET) is applicable on all Veederline invoiced orders effective as January 01, 2010. Q3: Does Veederline charge a premium for rush orders? A3: In general, NO premium delivery charges are applied to orders placed with Veederline (as all imported goods are Air freighted UPS Air Express), with the exception deliveries on – Public Holiday, out of normal office hour call in’s, same day deliveries, and some Return Material Authorizations (RMA’s). Consult your Customer Care Representative for information on RMA rush charges that may apply to on your return/repair authorization request. Q4: Can I buy Sensit Distributed products directly from Veederline? A4: Yes, (Coming Soon) Veederline customers can utilize our convenient online e-Commerce ordering system to order products directly from Veederline using a valid credit card, expiration date, contact name, phone and fax number details. To buy online, refer our How to Buy Now link for more details. Q1: Does Veederline offer a direct payment plan option for customers? A1: YES. Veederline does offer a Direct payment option to its customers. National Bank of Australia. – NAB. Account Type: Business Cheque Account. Q2: How do I go about checking my credit status with Veederline? A2: Contact Veederline Accounting Department for general inquiries concerning the credit status of your Veederline account at Toll Free: 1300 553 500. Q1: How can I receive a copy of my invoice? A1: Customer invoice copies are automatically mailed to our customers each week unless special requests are to have them Faxed. To receive a duplicate copy of your invoice, simply email: Veederline’s Customer Care or call us, on Toll Free Ph: 1300 553 500. Q2: How can I order Veederline’s Product literature? Resellers requiring Veederline brand product literature, are encouraged to use our convenient Online Literature Request form located within our restricted Distributors Log-in area, on the Veederline site Menu bar. Please be sure to specify product Model, Qty, required turnaround and related shipping information to ensure prompt literature order fulfillment. Q3: Who do I call for Veederline brand product Pre-sales assistance? A3: Customers needing Pre-sales assistance, can either utilize our Distributor Sales Location to find the name of the closest distributor in their area, or fill out the “Have a Rep Contact Me” Form located on our Location page which promptly gets forwarded to the appropriate Distributor in your area. Q4: Who do I contact for Veederline brand product application assistance? A4: Customers needing product application assistance, can fill out the “Have a Rep Contact Me” Form on Veederline’s – Inquiry page or utilize our Distributor Sales Locator to find a Veederline distributor in their area. For technical product support and assistance, simply email us or call our Applications Support Group to speak to one of our friendly and knowledgeable engineers directly. Q5: How can I receive a price quote on a Veederline product brand part? A5: Any pricing provided on Veederline’s Website is standard Recommended List pricing. To get a Quantity: Price quotation, email us and a Sales Representative will contact you promptly. If you need assistance with selecting the right product for your application, call one of our Application Support Representatives Toll free Phone: 1300 553 500 to discuss your application and answer any technical application questions that you may have. We look forward to serving you! Q6: What related divisions and products fall under the Danaher Industrial Controls Group? A6: To learn more about the complete line of Danaher Industrial Controls products and affiliates encompassing 26 reputable and recognized worldwide industrial control and sensing brands and growing, email us via our Inquiry Form to resource all your factory and process automation needs from us as your – one source global supplier! Q7: How can I be sure that I am contacting the right product division? A7: To learn more about our Danaher parent company, go to www.danaher.com. Danaher businesses represent a conglomeration of over 5 different yet distinct business segments including Dental Technology, Industrial Sensing and Controls, Motion Control, Power Quality, Product Identification and Safety & Aviation. Q1: Does Veederline offer a recycling program? A1: Veederline’s product in general contain no toxic materials that require specialized handling or a re-cycling, hence Veederline does not currently offer a recycling program (With the exception for some Partlow Sensing elements – that may contain Mercury.). These unit can be returned to Veederline directly for correct disposal. Q2: Does Veederline accept Trade-ins for old products? Q1: What is Veederline’s warranty policy on products? A1: Most Veederline Industrial Controls Automation products are covered under a standard one (1) year warranty, from the date of shipment. Standard manufactured product are warranted to be free from defects in workmanship and materials. Products which are defective in workmanship or materials will be repaired or replaced by Veederline at no cost to the buyer. For inquiries and complete details on Veederline product warranties, consult the Terms and Conditions section on Veederline’s web site. Or contact one of our knowledgeable Customer Care Representatives directly.